"It hasn't been a good year for Blues fans as two co-founders of the Blues Gang suffered misfortunes. Jim passed on and we believe his soul is resting in peace in Heaven. Shaik Karim, is out with dialysis treatment.These two great musicians formed the rhythm of Blues Gang. Karim is also gifted with true blues vocals. We are sure that these two will be like a fish in a pond if asked to perform with any Blues Band in the world. 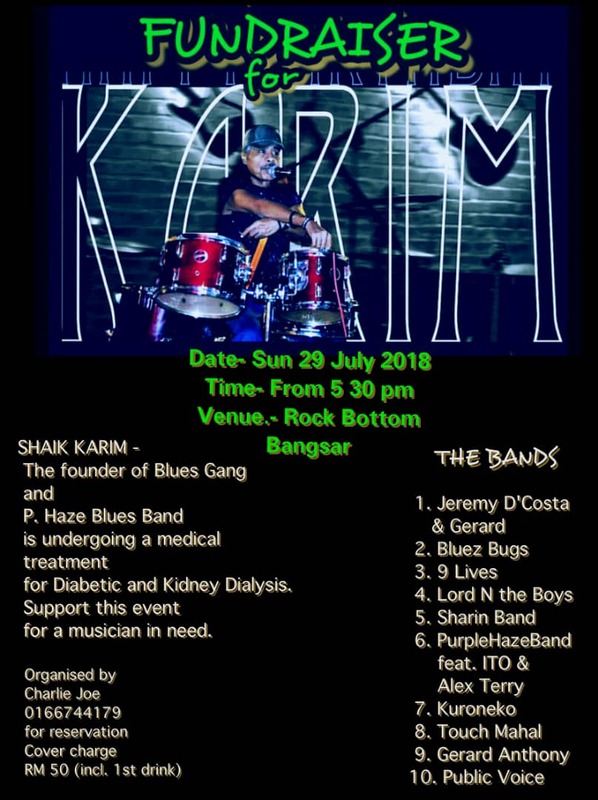 "July 29 2018 is a Fund- Raising Night for Karim. 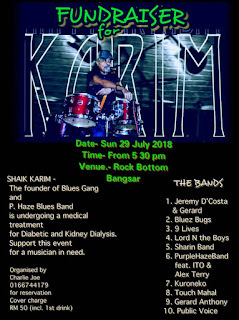 Zzz Blues is urging all Blues fans to congregate at Rock Bottom from 5.30pm till late to help raise funds for Karim’s treatment. "He has entertained many of us so let’s chip in for a good cause. See you on July 29 at Rock Bottom Bangsar. Thank you."